When it comes to lighting design, designers always go with the layered approach. 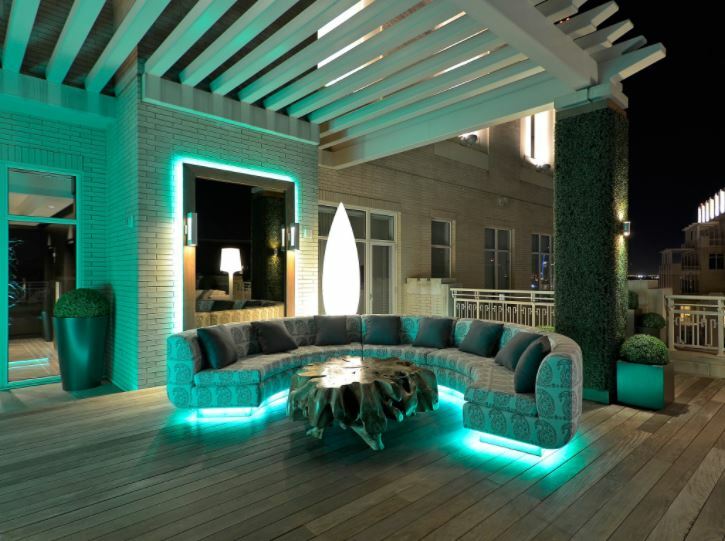 They combine ambient, accent, and task lighting to create a visually comfortable and appealing space. Mood lighting is an important part of this as well. It’s the secret to why some rooms feel different and special. 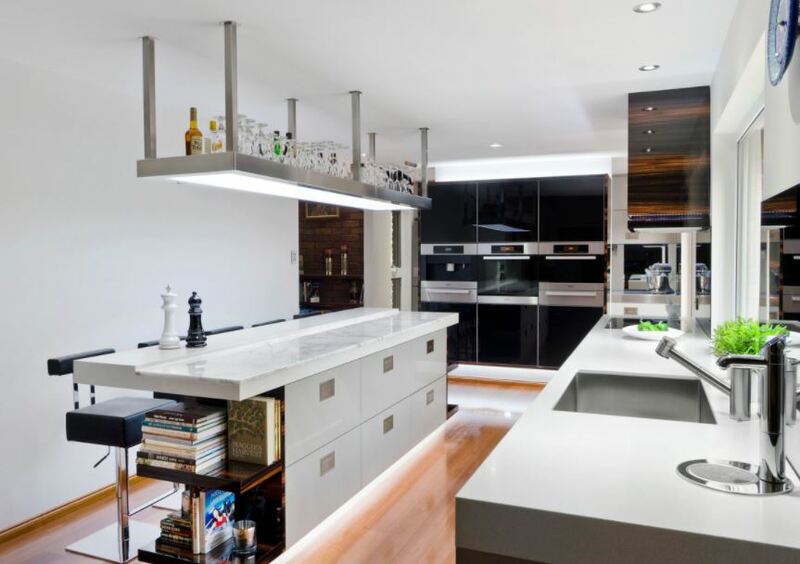 Want to know how designers use mood lighting to make wonderful spaces? Check out our list below! 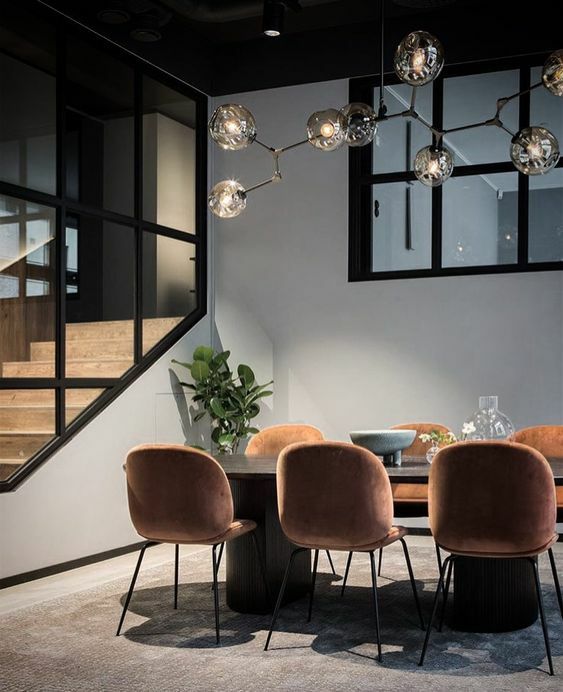 Pendant lights brighten and add style to the room. It hits two design goals at the same time! Just go with the design that suits your overall decor. 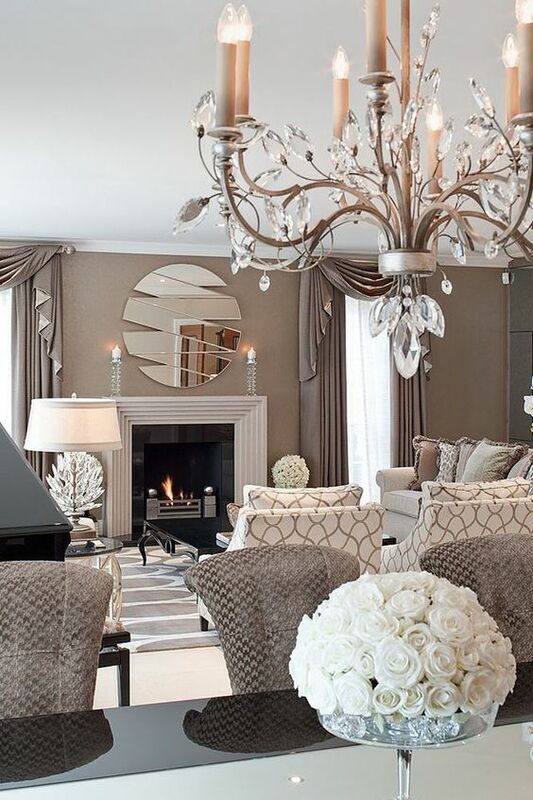 Opulent chandeliers are trending again. People love how each crystal on the light fitting reflects light that shines above everything else. Since it’s a classic, this timeless piece will work in both traditional and modern spaces. 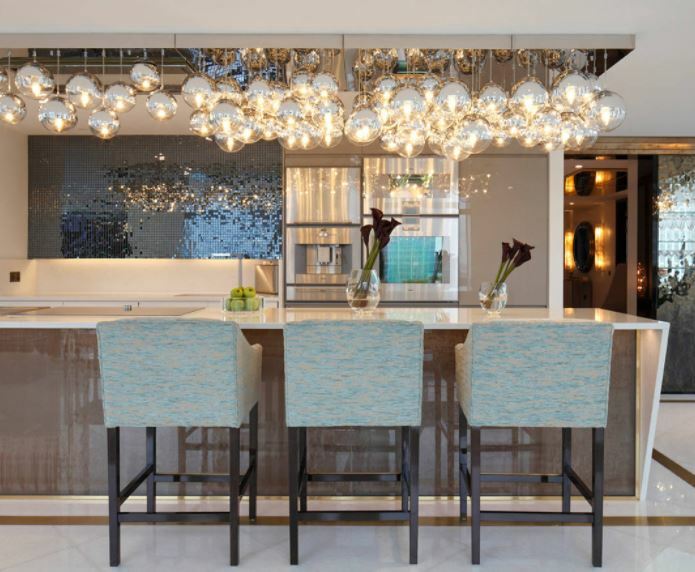 These chandeliers possess sophistication and drama that modern homeowners can’t resist. Reddish, orangey, and yellowish lights are warm lights. This will help create a comfy and toasty ambience. It relaxes the body, so use it in areas where you wind down. Install or hang ceiling lights that strategically brightens and heightens the look of the space. Illuminate your corridors like it’s a major area in the house. Don’t let it go dark, boring, or even over-lit. Use light to stage important and expensive pieces of art in your home. It’s much like how museums accentuate the works of the artists they feature. It’s amusing, cheerful, and entertaining. A mix of coloured lights will send you to an otherworldly place. Don’t like the night-club or party-like ambience like the one above? Then, go with a single colour. 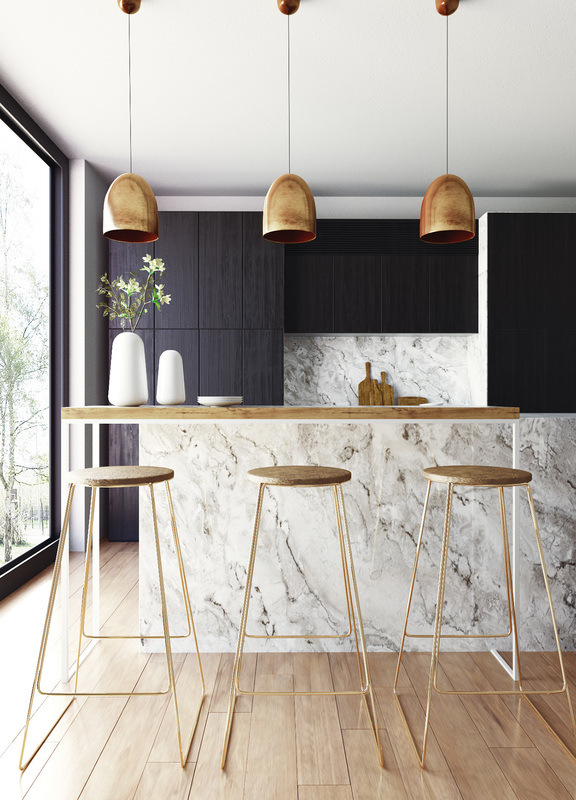 It will add drama and interest to a room with a neutral colour palette. 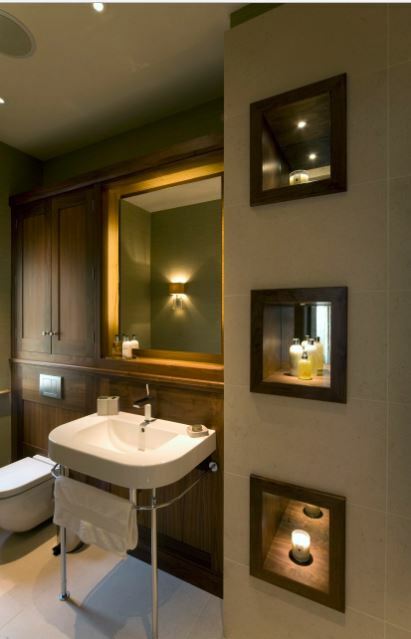 Install soft glowing light inside an in-wall storage to make it look high-end and classy. This is to subtly brighten specific areas and eliminate the shadows cast by large items in the room. 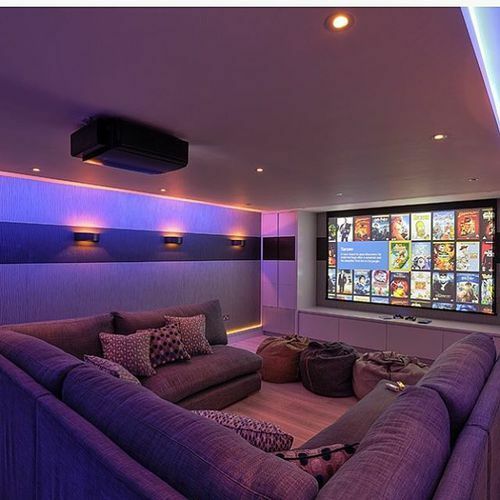 Never install too many recessed lights or you will risk having an over-lit space. 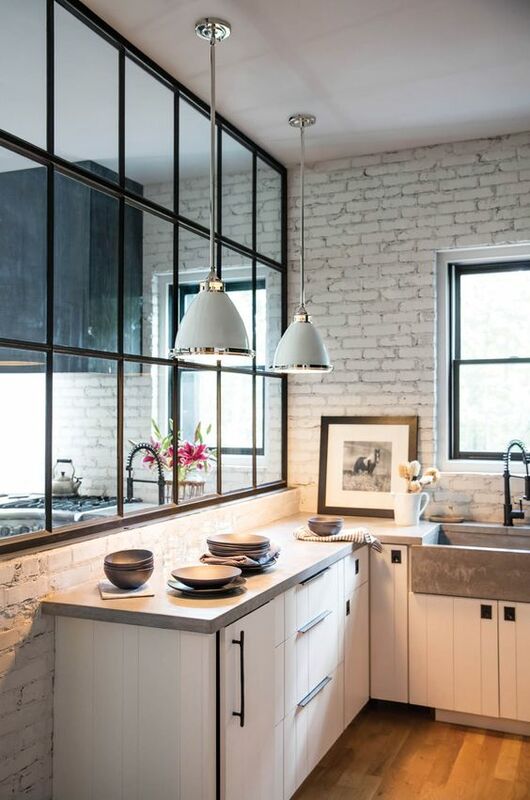 We recommend having the right number of artificial downlighting and mixing it with a dose of daylight. 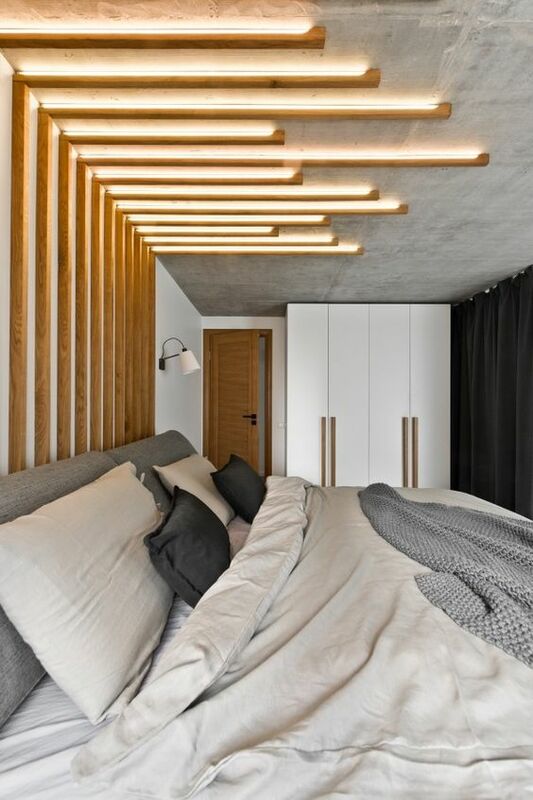 Light fixtures can attract attention too. Go on, display something that looks and feels like a million dollars. Explore unique, grandiose designs other than classy chandeliers. Instead of wall-mounted lights, consider hanging a cluster of light bulbs along with an overhead line. 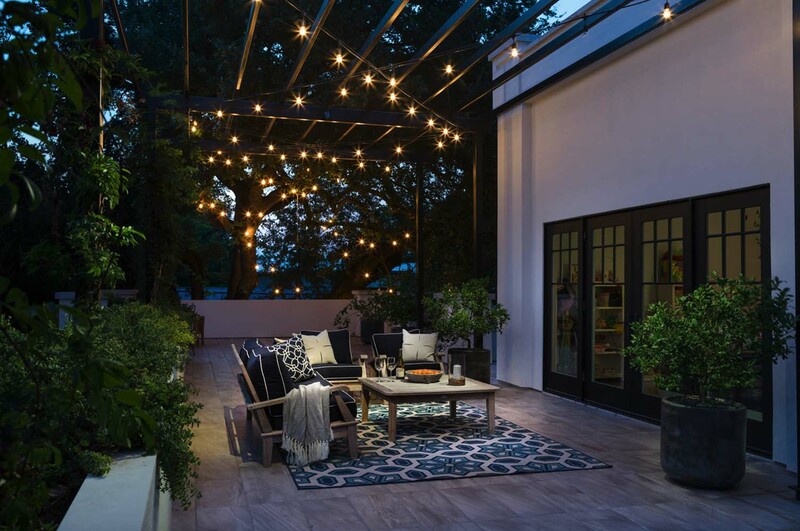 It’s affordable and chic way to amp up the mood in your courtyard or any small outdoor space. Fairy lights will deliver the same sparkling boho look as well. Do this to put more focus on an object. 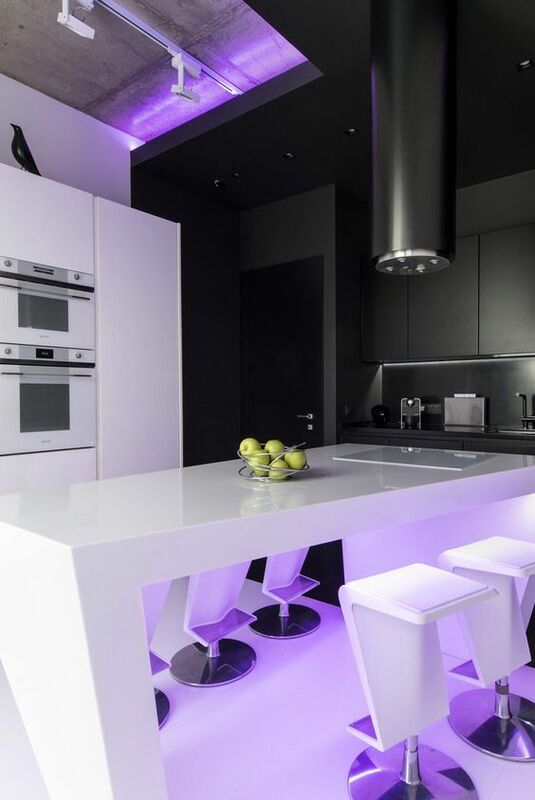 We recommend using neon LED strip lights. Put it under the star of your outdoor space. That way, it becomes more special at night! 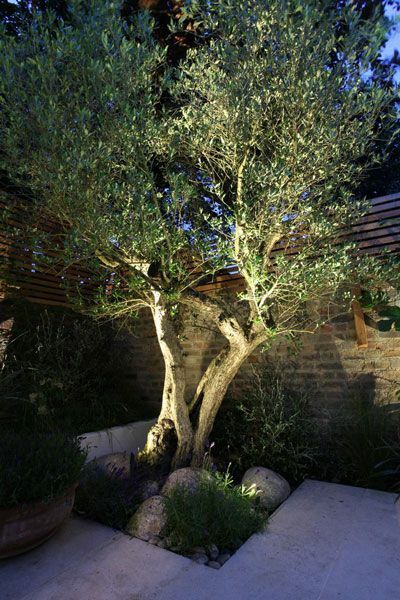 If the plants and trees are your garden’s best feature, put them in the limelight with directional lighting. Doing so will keep the landscape alive at night. It will highlight all the materials used and textures present in the design. This will produce interesting shadows as well. 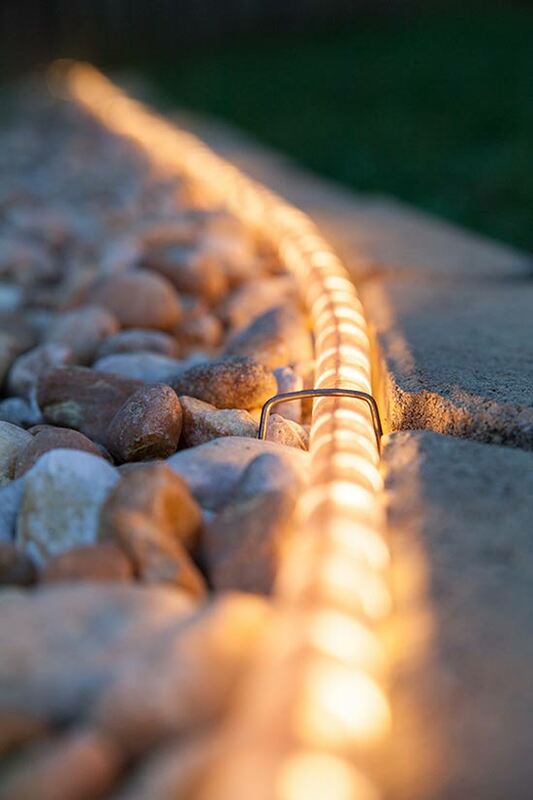 Coming in your home will be more special once you install decorative lighting in your home’s entry. It creates a sense of anticipation — and that’s a good thing. If the gates of Heaven glow, yours can too! You have the means, material, and technology to do so. No one’s stopping you. 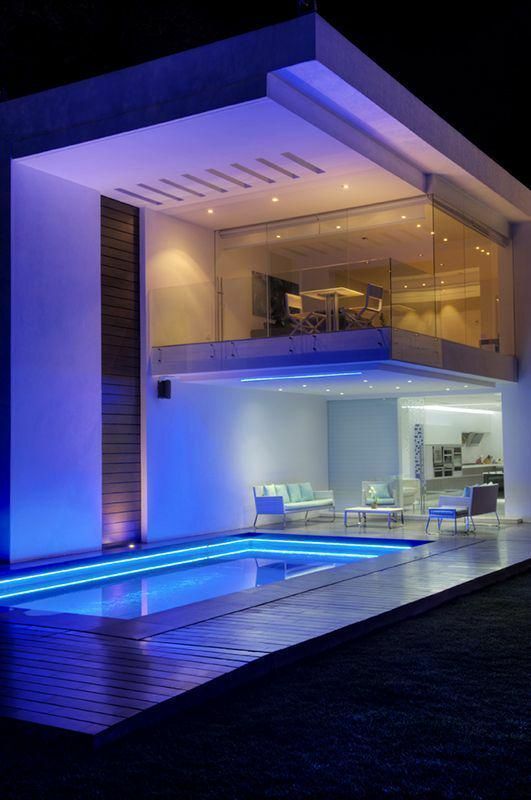 The pool is a huge outdoor feature that you should highlight especially at night. Consider installing waterproof LED lights underwater. The light will disperse throughout the water and will create a lovely illusion.